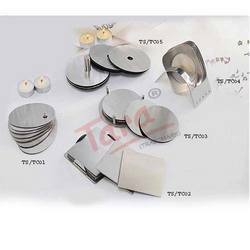 Steel Coasters beneath your hot cuppa and that too stylish ones is what you need to enhance your table etiquette and your way of hospitality. 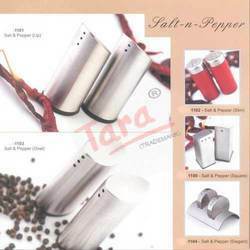 This unique designs of Salt and Pepper Shaker make your dining a bit spicey and make your taste buds watery. 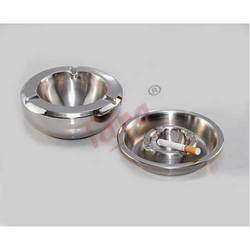 We are one of the leading manufacturers and traders of Steel Ash-Tray. 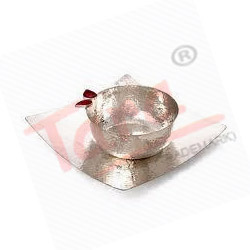 This is a table ware used to carry cooked food, tea cups, snacks and other consumable items. 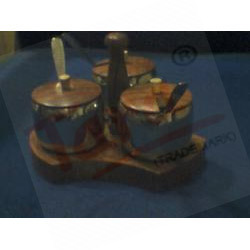 Our table wares are manufactured in varied design, sizes and color patterns as per the specific needs of the users. 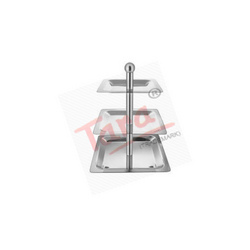 Trays are widely used in Offices, Restaurants, Domestic houses, Railway cafeteria centers and other establishments. 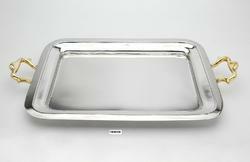 Salient properties exhibited in our Trays are corrosion resistant finish, light weight and smooth finish. 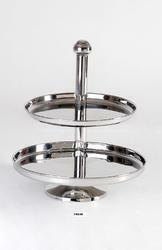 Our enterprise is involved in manufacturing and supplying Tea Lite Candle Holder. 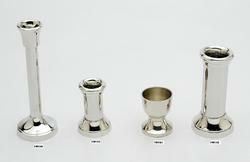 A candle holder is used to hold wax candles of varied lengths and thicknesses. 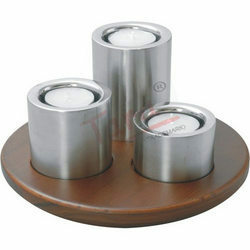 Our T-lite Candle holders are appreciated for the properties like light weight, elegant appearance and easy to use. 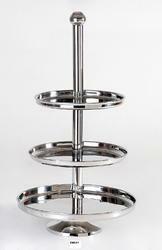 Candle holders are made of various materials like stainless steel, copper, galvanized aluminum and fiber. 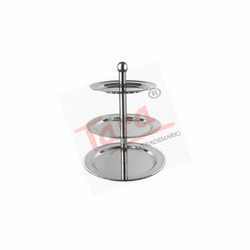 Thickness, weight, length and colors of our candle holders are strictly as per the client’s requirements. 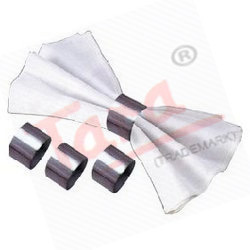 This unique designs of Napkin Holders make add elegance to your table and enhances your dining etiquette. 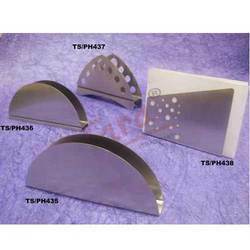 189 11" X 13" X 15"
190 12" X 14" X 16"
This puzzle steel coaster come with 6 pcs of coasters. 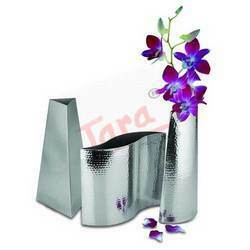 Well designed and beautifully crafted, is best for gift. 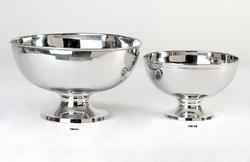 Backed by the team of highly qualified professionals, we offer Lemon set of fine quality. 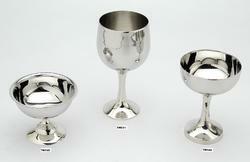 It comprises of exotically designed six glasses and a jug that can also be used as a gift item. 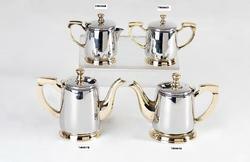 This set is manufactured using high grade stainless steel that is being sourced from known and verified dealers. 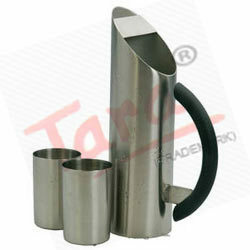 They are highly appreciated by the clients and can be customized as per the requirement. 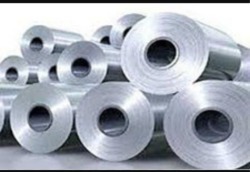 Additionally, it can be availed in the most reasonable rates. 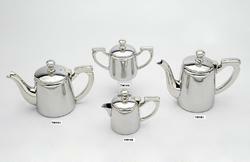 Looking for Steel Tablewares ?